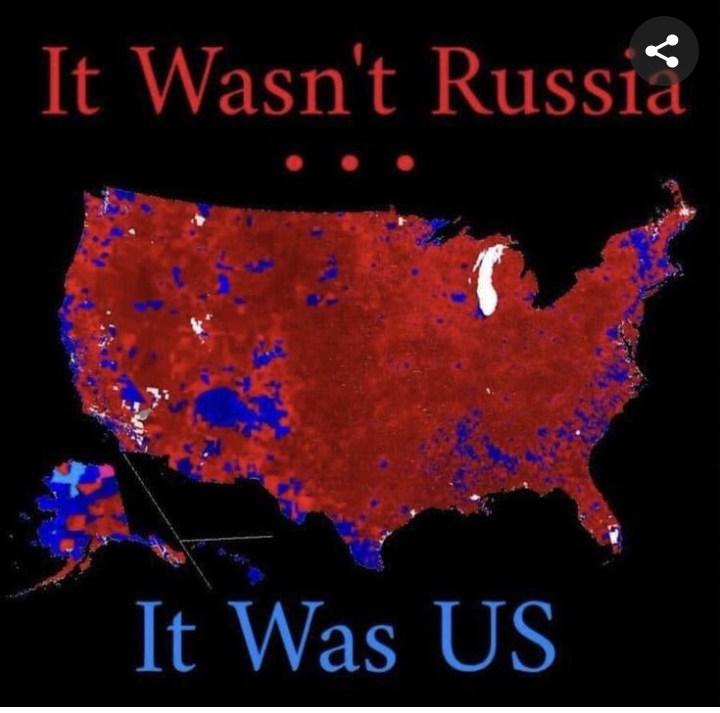 By now most reasonable-thinking folks understand the entirety of the Trump-Russia collusion hoax was little more than a multi-billion dollar Democrat-media-Deep State scam meant to discredit the results of the 2016 Election. What the below map also shows is just how truly widespread President Trump’s America-First message is to the nation’s voters. The radical left has spent decades pushing millions into high-population density centers (cities) whereby they become almost completely dependent upon government services in order to survive. This results in more voters for radical left Democrat candidates who repeatedly promise yet more of those services—for free. These millions of urban voters are more easily manipulated and thus become the foundation for the Democrat Party. They do not represent the entirety of the country, though. Far from it in fact. It wasn’t Russia that won the 2016 election. It was us. 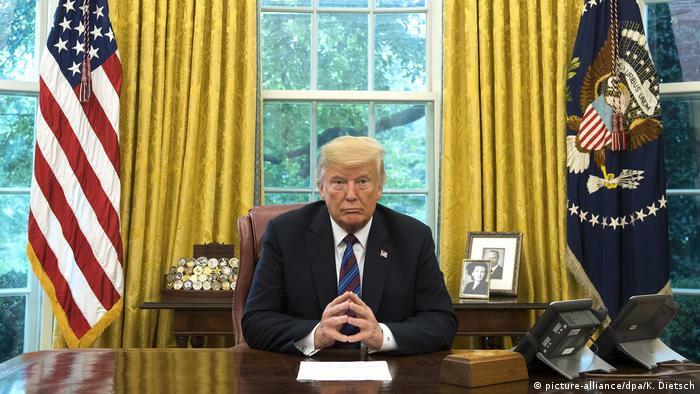 President Trump has warned time and time again how America must better secure its southern border, reform its immigration laws, and work together to help make citizens safer. 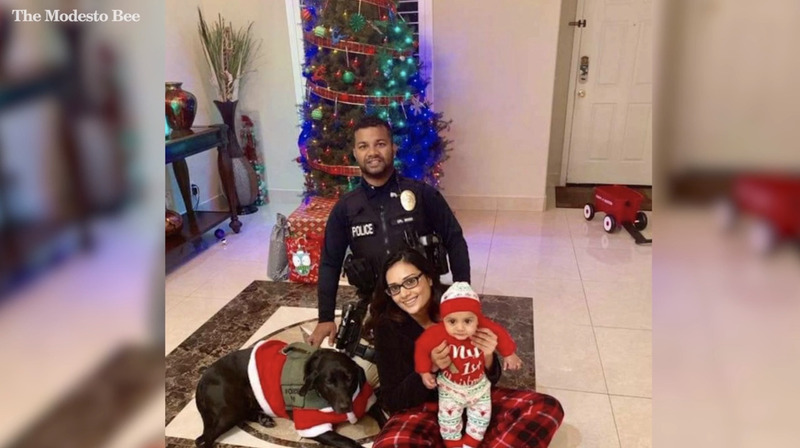 Democrats refuse to listen and last week, a young man with a wife and child who came to this country legally, worked hard, became a police officer, and was living the American Dream, was shot down by an illegal immigrant with known gang ties. The silence from Democrats and their socialist media cohorts has been deafening. Senate Minority Leader Chuck Schumer has nothing to say. Soon-to-be House Speaker Nancy Pelosi is vacationing in Hawaii. The entirety of the Democrat Party is hunkering down and hoping most Americans will pay the tragedy little to no attention so that they can continue to refuse $5 billion for border wall funding and keep the government shutdown going. Politics over lives—that’s the Democrat way. Meanwhile, President Trump is urging members of Congress to get back to work so that the nation’s business can continue and legislation that benefits the people of this country can be passed—including border security. That has been the president’s position since taking office – common sense government that benefits ALL Americans. Democrats and many establishment Republicans want the divisive status-quo to continue where they grow rich in Congress, send soldiers to fight in far off wars that cost trillions, allow tens of thousands (many of them criminals) to continue sneaking into the country illegally every month, and then wail at President Trump for daring to put the American people first and the interests of the D.C. establishment second. Consider that everything the president has been allowed to accomplish has proven to be a positive outcome for America. From lower taxes, to fewer regulations, to a revitalized U.S military, all of things have undeniably made the country safer and more prosperous. Minority communities are thriving like never before. Unemployment rates for women are at historic lows. 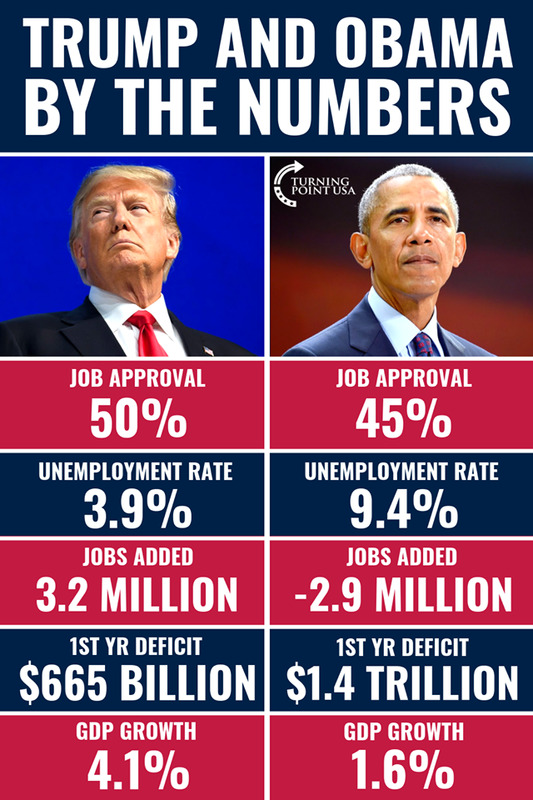 Nearly every facet of society has improved during the first two years of Trump’s presidency and yet the Democrats and the media work 24/7 to convince you otherwise. And then another innocent is killed due to the ludicrously dysfuntional immigration system in this country, a system made so by the equally dysfunctional and uncaring political climate in Washington D.C., and the reaction by politicians and the media is to ignore that loss of life and continue attacking the man who actually wants to help—President Donald Trump. Will you let them get away with it? The Democrats think so. It’s now up to you to prove them right or prove them wrong. Generation Z MAGA Photo Goes Viral. Despite a left-wing media/entertainment complex that would say otherwise, millions of millennials are all-in on the idea of restoring and securing America’s greatness for future generations. President Trump’s support among working millennials is strong and growing and might very well prove to be the final undoing of the radicalized, anti-American socialist movement that would see the United States destroyed from within like an increasingly aggressive cancer killing its host. The following photo is now going viral and for good reason – it’s a testament to just how powerful the America-First forces are becoming. These young men and women are ready and willing to fight.